This entry was posted on April 21, 2015 by Tinteán Editorial Team/EMcK, in Gallipoli, History, Irish Soldiers at Gallipoli, Popular Culture and tagged ANZAC Cove, Cape Helles, Gall, Gallipoli campaign, Gallipoli. Irish Soldiers at Gallipoli, Irish Anzacs Project. Bookmark the permalink. The Irish at Gallipoli is a six-part podcast series specially recorded for History Hub by Dr Jeff Kildea who was Keith Cameron Chair of Australian History at the UCD School of History and Archives in 2014. Dr Kildea is also the Chief Investigator on the Irish Anzacs Project which has made available to researchers and the public a database of the approximately 6500 Irish-born members of the Australian Imperial Force who served in the First World War. ‘At the end of the first day of the military campaign at Gallipoli (April 25, 1915) the Allies were ashore at Anzac Cove and Cape Helles. However, they had failed to seize their first day objectives and had only a tenuous toehold on the peninsula. 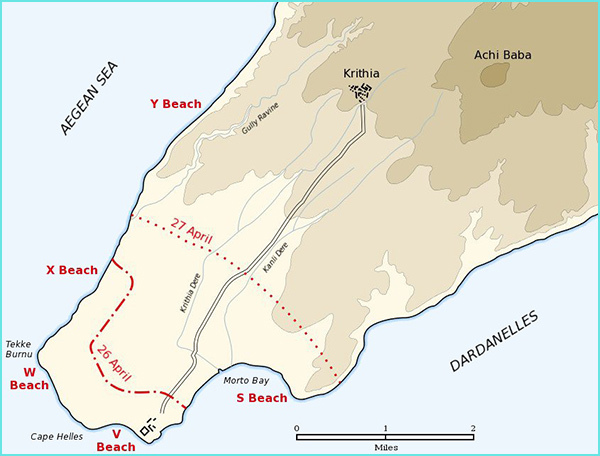 For almost three months the British and French forces at Cape Helles, assisted on one occasion by Australians and New Zealanders from Anzac Cove, fought a series of battles to take the village of Krithia and the high ground behind it, which the British called Achi Baba. These attempts would cost the Allies dearly in casualties and, despite the gain of some ground, the two objectives remained in Turkish hands’ – Jeff Kildea. Click here to listen to episode 3 of The Irish at Gallipoli. Click here to access the Irish Anzacs Project database. Click here for more information on Dr Jeff Kildea’s work. Click here to listen to earlier episodes in The Irish at Gallipoli series.